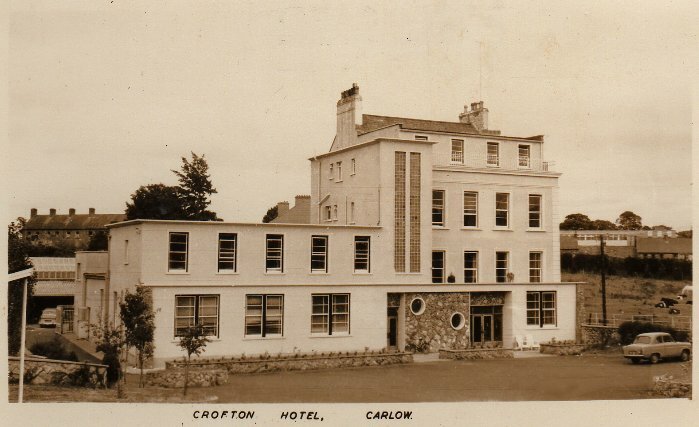 This picture previously appeared in 'Carlow in Old Postcards Vol. 2' by Michael Purcell. 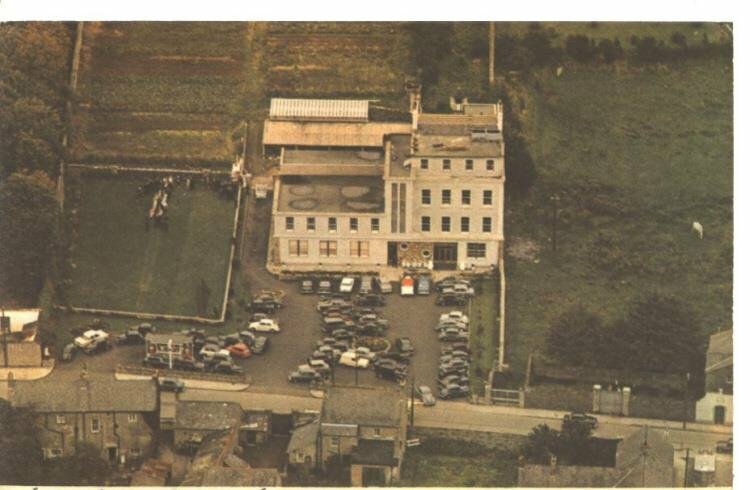 Ariel photo of Crofton Hotel year? Source: Facebook. This photo was found on Mr. John Alcock on his Facebook page. 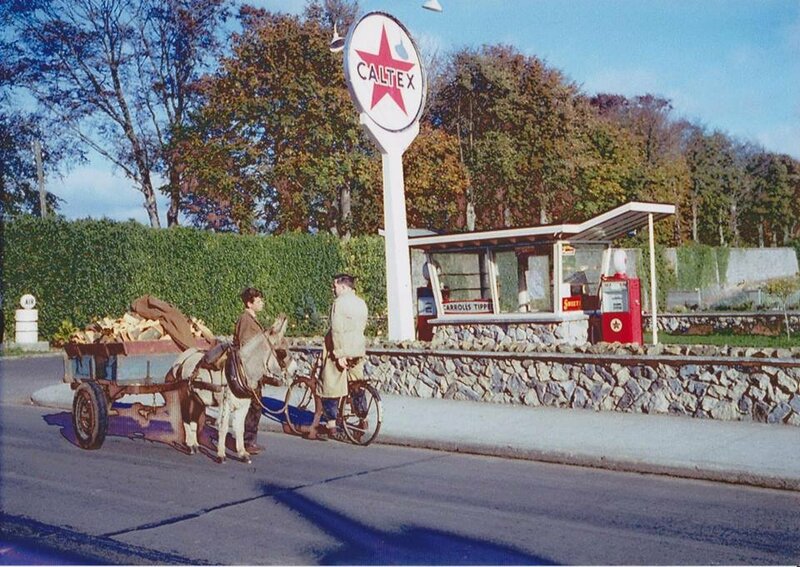 Caltex became Texaco in 1968. Source: John Alcock on his Facebook page. 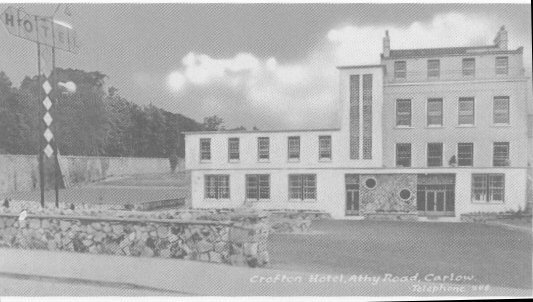 Crofton Hotel. 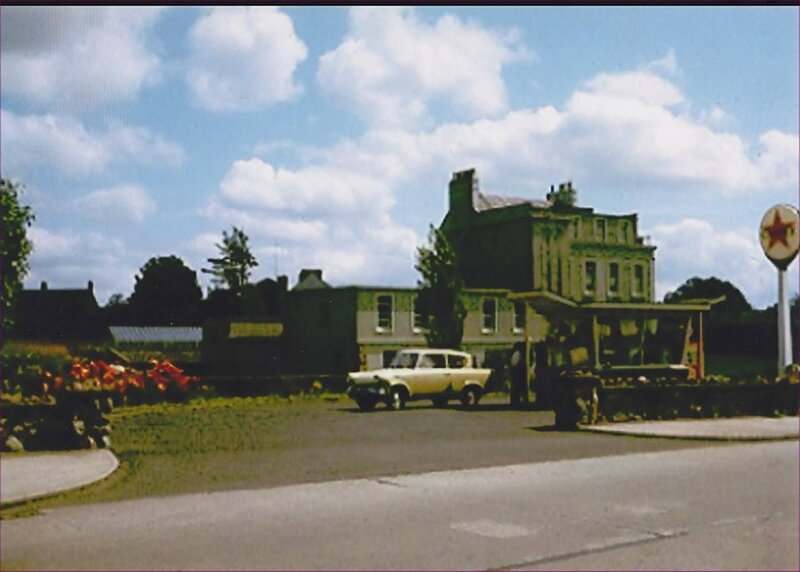 Athy Road Carlow. This photo was found on Mr. John Alcock on his Facebook page. The Seven Oaks Hotel was previously known as The Crofton Hotel and befor that was originally known as Greenbank House on Athy Road, Carlow and was the home of the Haughton family. Later Michael Molloy M.P. 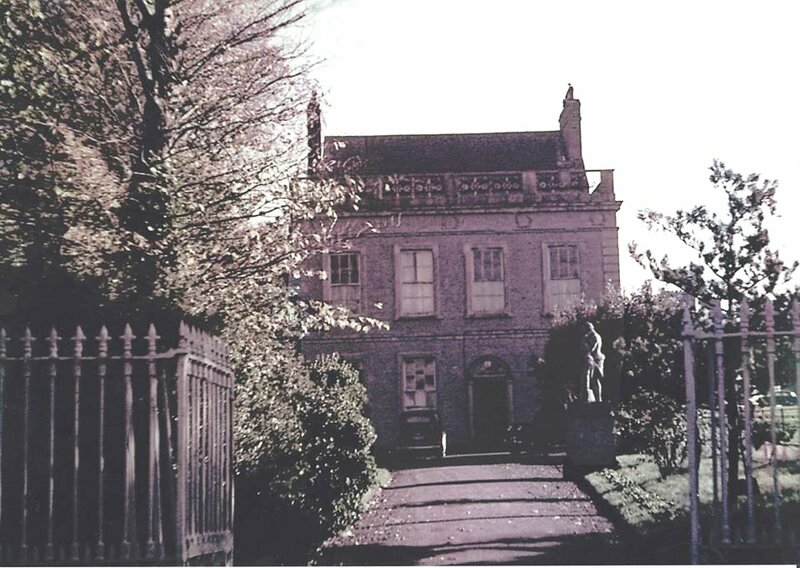 (1850 – 12 Jan 1926) lived here. 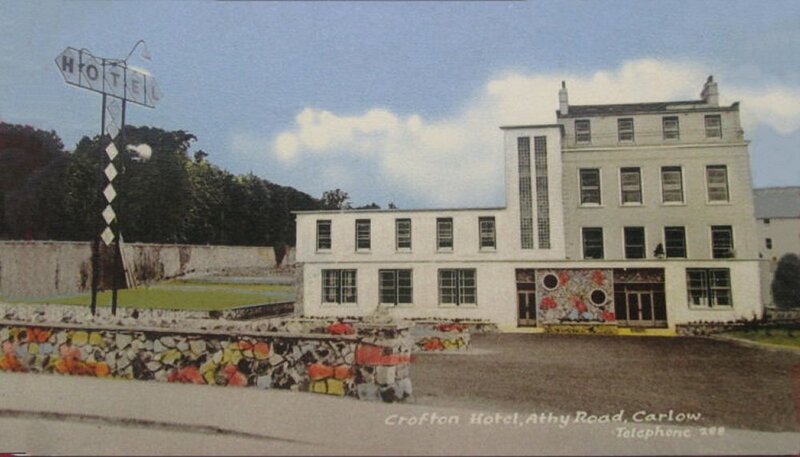 At the time this picture was taken it had become The Crofton Hotel and was a popular entertainment venue in the town. 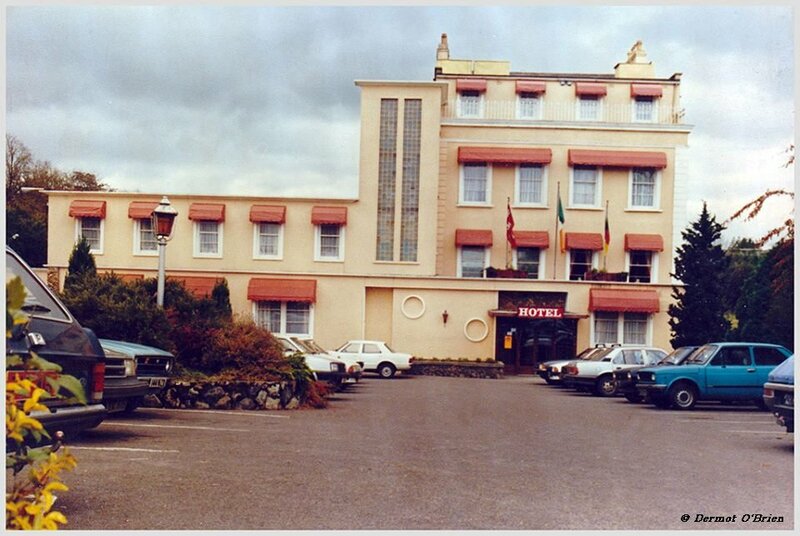 The main entrance which is at ground level today was formally the entrance to the cellar, but the ground was lowered in the 1960's to add another story to the hotel. 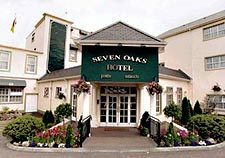 Today it is known as "The Seven Oaks Hotel". Professional Researchers. Neither can it be used for the purpose of gain from any person and/or organisation.